He was inducted in the Cowboy Hall of Fame in 1995 from Arizona. He is an all-around timed-event cowboy. 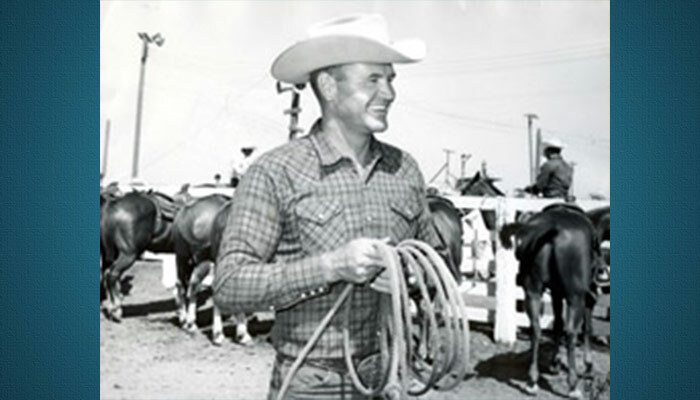 He won world team roping titles in 1956 and 1957. In 1959, he went to the first National Finals Rodeo in three events: team roping, tie-down roping and steer roping, the first cowboy in professional rodeo history to accomplish that outstanding feat. In 2000, he was awarded the Ben Johnson Memorial Award. Now a successful rancher, he attributes his success in business to professional rodeo. His horse, Poker Chip, is buried in the Cowboy Hall of Fame.